Description: For this layout I wanted to create a sunburst look to go along with being outside in the warm sunshine, relaxing at a pool. 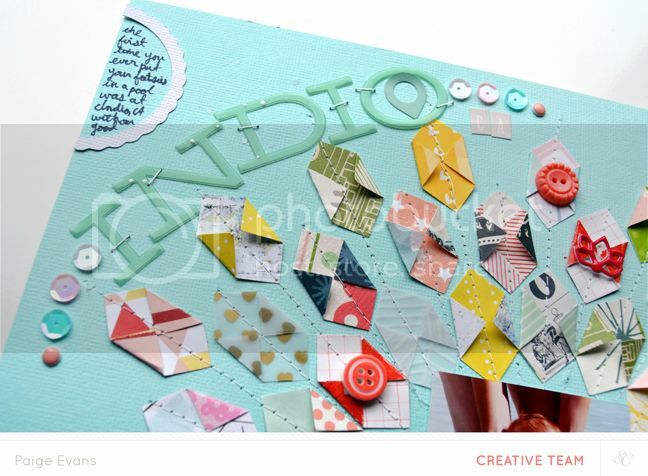 I love using patterned papers so I used as many as I could from the May kits to create a pieced background. Have I mentioned that I have a patterned paper fetish? Well I do. There. I said it. Fantastic layout and I spy some alphas that I need to get my hands on pronto! 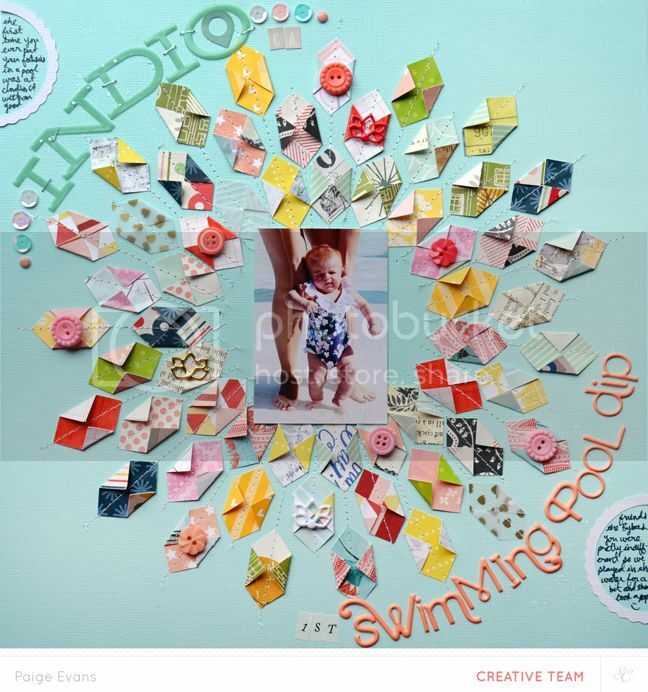 This is the most adorable layout and a great way to use up scraps. thank you so much for the tutorial again! Loveeeeee this! LOVING that title work!!!!! this is SO fantastic--LOVE it!! This is so fun Paige! 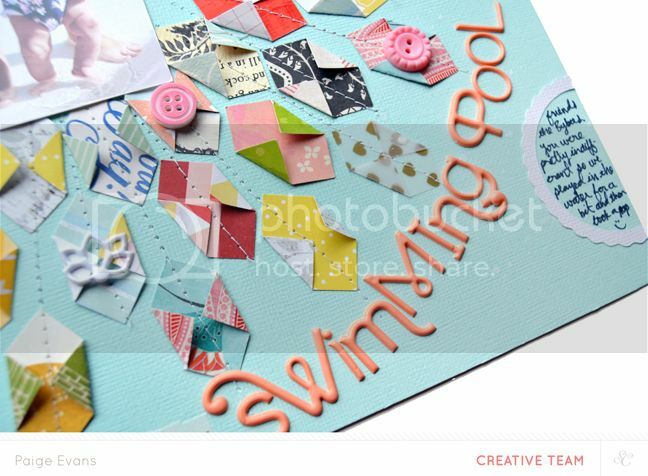 I love how you used the folded shapes to create the circle design in the background!